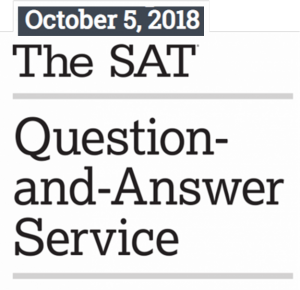 Here is the link to the playlist of videos that explain all of the math questions in the 2018 October SAT Question and Answer Service test. The playlists are separated by sections. Section 3 of the math section does not the allow use of calculator, whereas the calculator is permitted in Section 4 of the math section.